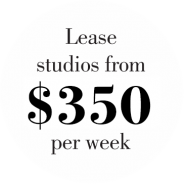 about starting your own Fifth Avenue Studio? Are you an established hair, beauty, health or wellness professional? Do you dream of owning a successful small business? Do you anticipate minimal start-up costs? It’s time to begin your Fifth Avenue Lifestyle. Fill in the form below, send us a message or give our representatives a call.